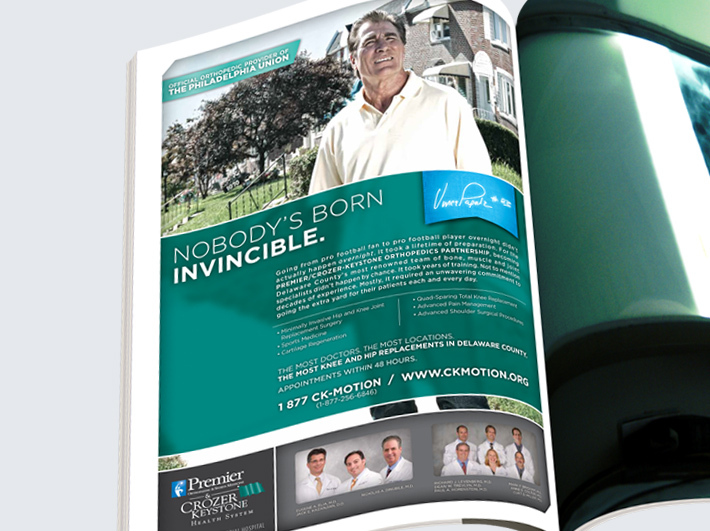 Until it becomes reality, an idea or dream is nothing more than an unrealized concept. Most times, the loftier the goal, the more work is required to achieve it. 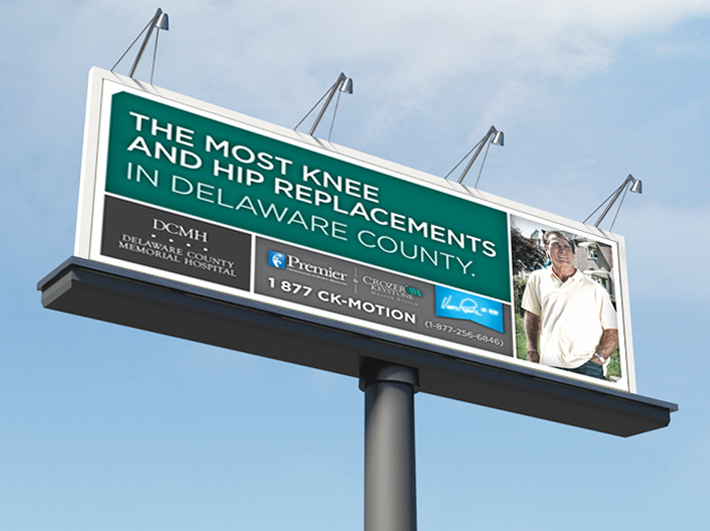 So when the Premier/Crozer-Keystone Orthopedics Partnership sought Signature’s assistance in establishing themselves as Delaware Valley’s go-to musculoskeletal group, we knew we needed a spokesperson that matched their passion and commitment. 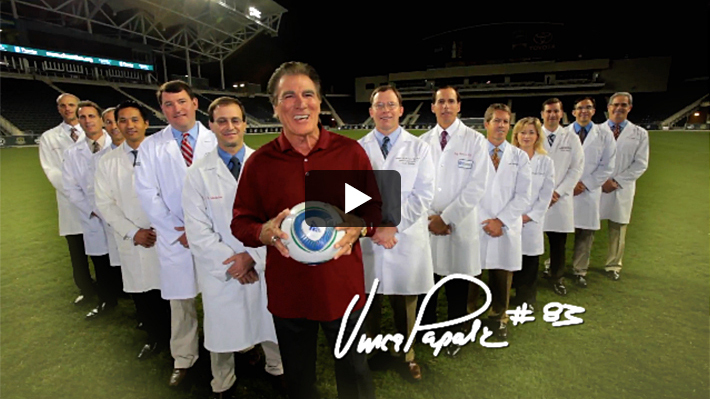 Enter former pro football player and Philadelphia sports legend, Vince Papale. 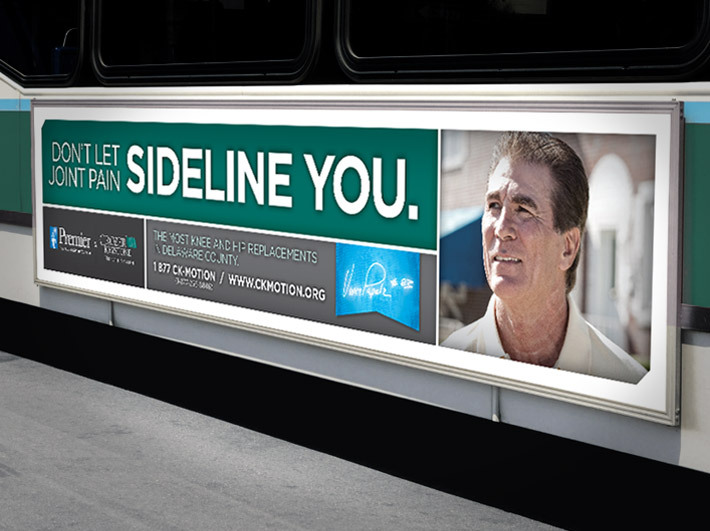 A walk-on rookie at the age of 30, old number 83 is the living embodiment of determination and drive. 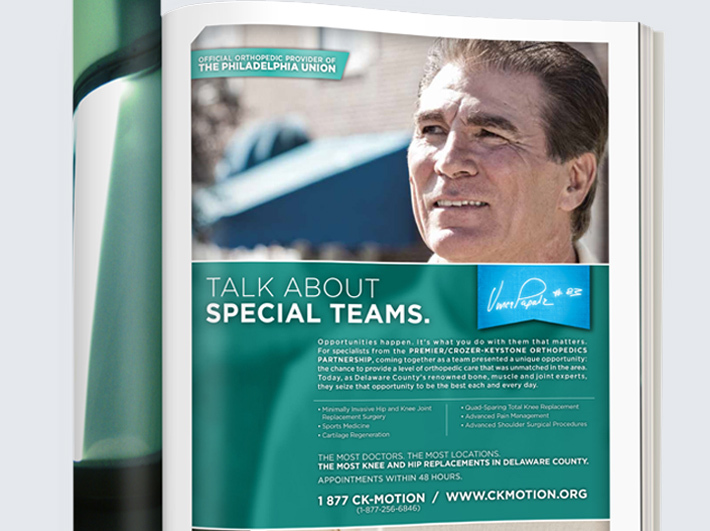 The very same qualities that helped form the foundation The Premier/Crozer-Keystone Partnership. Using these shared ideals as our messaging springboard, we set about creating something memorable. 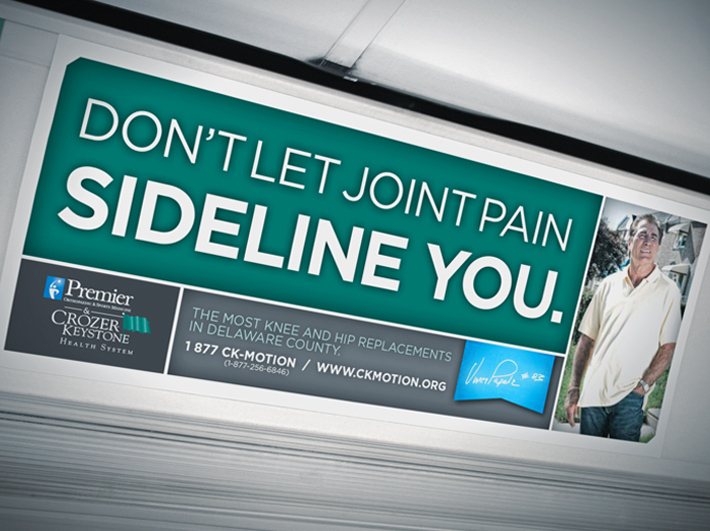 The resulting campaign—involving TV, radio, print, outdoor and digital advertising to drive potential patients to a newly-created website—perfectly captured the essence of Vince’s incredible story in relating it to the philosophy of the Premier/Crozer-Keystone Orthopedics Partnership. 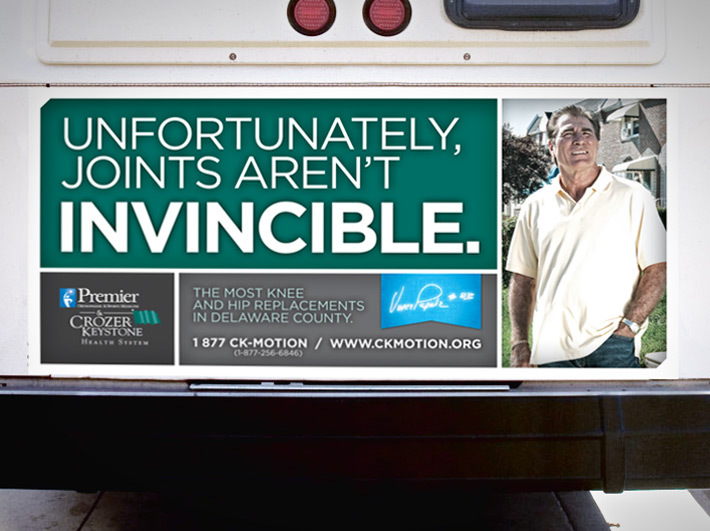 The hugely successful campaign not only further solidified Vince as a true icon, but it also helped position The Premier/Crozer-Keystone Partnership as an area leader in orthopedic care.